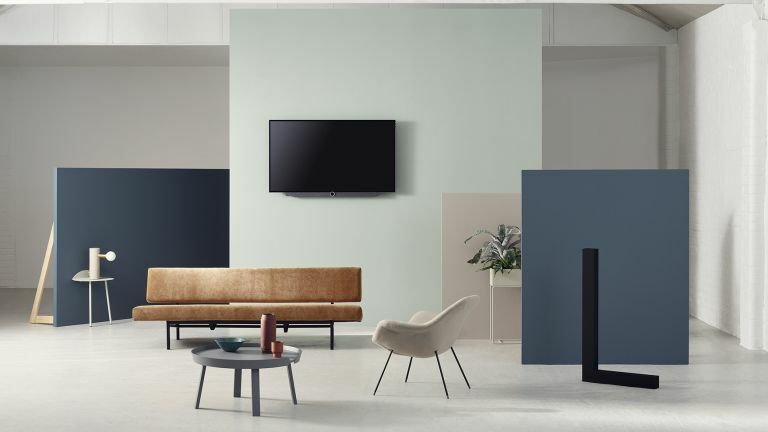 Loewe has just released its latest range of televisions, bild 3, demonstrating Loewe's state-of-the-art tech combined with sleek, minimalist design. Despite being the entry-level model, Loewe claims bild 3 is "uncompromising in terms of image quality, audio output and design". The range comes new smaller screen sizes, 43-inch, 49-inch, and 55-inch. The range comes with a variety of elegant stand options covering every placement possibility, including wall-mounted, table-mounted or floor-standing. The 55-inch model features an OLED display, packing Dolby Vision, HDR10, and HLG. The 43-inch and 49-inch models feature 4K LCD screens, which use Loewe’s proprietary upscaling technology to make lower resolution content look absolutely incredible too. Sound-wise, the bild 3 range features an integrated sound bar featuring 4 drivers, 2 passive radiators. The 43 and 49” models are also available with optional DR+ which adds an integrated 1TB hard-drive for pausing live TV and recording your favourite TV series and movies. All televisions feature Bluetooth, letting you stream music from a phone or tablet to the TV sound bar. Finally, as with all Loewe televisions, the bild 3 benefits from Loewe’s dedicated app for use with smartphones and tablets. This allows you to control your TV from your handheld device. It also acts as a digital programme guide and allows users to schedule recordings remotely. The Bild 3 screen are available in Graphite or Light Grey, and prices start at £1,690.